EyeWish Optometry is a partnership between two eye doctors, Lora Pond and Tania Mantua. The partnership was established February 1, 2006. Dr. Pond opened her solo practice in 1989 and has served her patients well. She decided to take on a partner to offer increased patient convenience, by offering full eye exams, contact lens fittings and optical services 6 days a week, Monday through Saturday. Dr. Mantua has worked in the office since July 2004 and sees patients Monday through Friday. She also works as a research optometrist for AcuFocus, a medical device company. She had worked in an ophthalmological office that specialized in LASIK surgery prior to joining Dr. Pond. 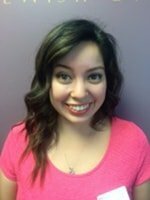 Shana Martinez is the office manager and is an ABO certified optician. She provides excellent care, fashion advice, and adjustments. Both Dr. Pond and Dr. Mantua are therapeutically licensed and provide full scope optometric exams. Dr. Mantua completed a residency in Low Vision and Hospital Based Rehabilitative Optometry and is a Fellow of the American Academy of Optometry. Both Doctors volunteer their time with Lions in Sight and have provided eye care around the world for those who can not afford an eye exam or eyeglasses. EyeWish Optometry provides personal experience that is difficult to find at the chain stores and with our competitive prices and commitment to excellence we think you will be very pleased with our service and products. 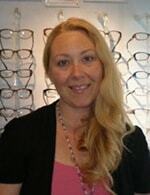 Dr. Lora Pond has been practicing optometry in Novato since 1986. She graduated with Honors and received her Bachelors of Science in Nutrition, Dietetics, and Food Science from the University of California, Berkeley. She received her Doctor of Optometry degree from the Pennsylvania College of Optometry in Philadelphia and graduated in the top 2% of her class. Dr. Pond has been very active in the community through the Ignacio Rotary Club, the Novato Chamber of Commerce, and the Novato Lions Club. She will be a board member in the Novato Lions Club. She participates with the volunteer organization, Lions in Sight, with her daughter Noel, for many years and many vision clinics, mostly in Latin America. She has been a consultant for the Lions clubs with their school screenings. She enjoys hiking, running, jewelry making, studying Spanish and dance. She also enjoys working on complicated contact lens fittings. Dr. Tania Mantua grew up in Bodega Bay, California and attended Tomales High School. She went on to Santa Rosa Junior College and then transferred to the University of California, Davis and graduated with a Bachelor of Science in Biological Sciences in 1985. She then attended and graduated from the University of California, Berkeley School of Optometry in 1990 and completed a residency at the Palo Alto Veterans Administration Medical Center in Low Vision and Rehabilitative Optometry in 1991. 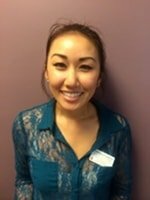 She worked for the Livermore Veterans' Affairs Medical Center for 4 years and then worked at Optima Medical Associates for 11 years. At Optima, Dr. Mantua worked closely with a corneal specialist who also specializes in LASIK surgery. She was also a clinical professor at the University of California, Berkeley School of Optometry. She is active in volunteering her time for service trips for Volunteers in Optometric Service to Humanity, the Lions Club, and Help the World See and has visited far off lands like Nepal, Peru, Brazil, Ukraine and the Philippines with Lions in Sight. Her other interests include studying Spanish and spending time with her family.